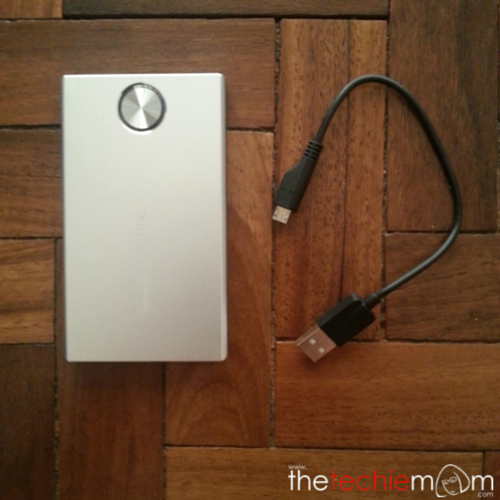 I have been on the lookout for an affordable but reliable power bank since my first one (I can’t even remember the brand!) gave up on me just after 2 weeks, I didn’t see the need to buy a replacement since I rarely do telecommuting anymore, so took it out of my budget list. 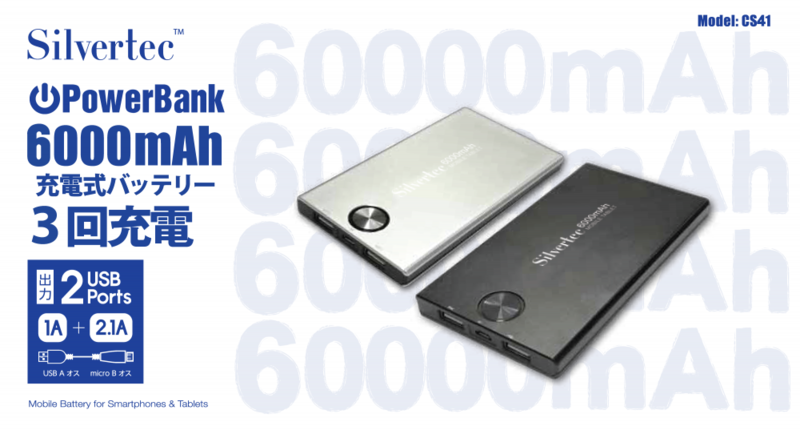 Silvertec was established in 2011 in Hong Kong, not really a popular brand, especially here in the Philippines but it has been gaining its loyal followers because of its reputation of using Sanyo cell batteries in their line of power banks (although nowadays, they do have Samsung cells as well). Sanyo cells are made in Japan and has been getting good reviews in terms of long usage and extra durability. I needed something that will juice up my Samsung S3 and (sometimes) the family iPad 2nd gen, so I knew I needed more than the typical 2600 mAh. 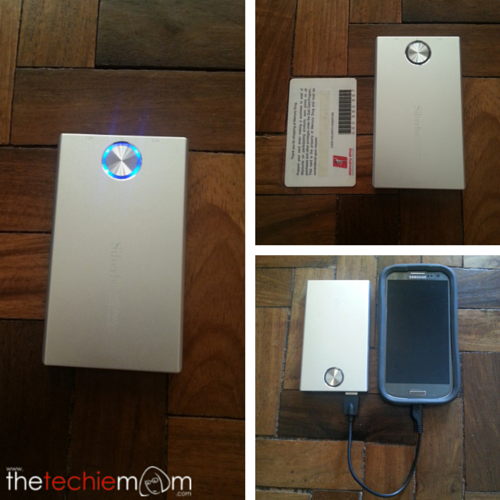 When I went to Octagon (lone distributor of Silvertec here in the Philippines, as far as I know), they had the 5200mAh, 6000mAh and the 10000mAh. I was so set to buy a 7800mAh but they were out of stock, as much as I want the 10000mAh, it was really out of my budget. So I decided to buy the 6000mAh with Li-Polymer battery, I figured, more than enough for my S3, good for one charging for the iPad. It was a really good choice. 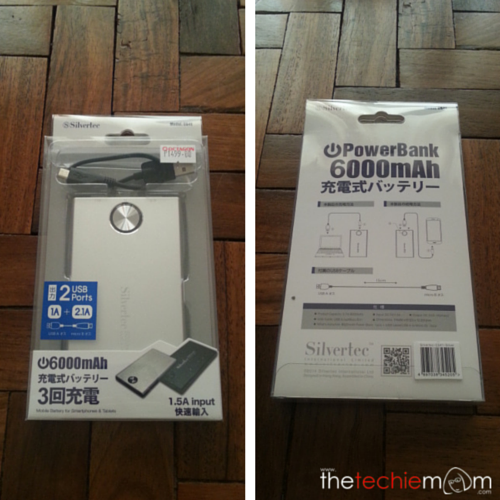 The price of the 6000mAh was 1499 pesos (roughly US$35), not cheap but not very pricey compared to other power banks, and since I knew that Silvertec has long-lasting cell batteries, I knew that it will go a long way. I can charge my Samsung S3 2.5 times before it drains out. Charging time (from about 18% battery life) would be 2.5 hours to be completely charged. I’ve had it for almost a month now, being using it at least every 3 days, testing it and seeing if the battery easily drains (my first ones really sucked, my fault also since I bought it on a whim since it was an emergency), and I’m glad to report that my money was well spent. Led Light on. Size Comparison to membership card and Samsung S3. can charge smart phones (1A output) and tablets (2.1a output), not common for this type of mAh (typically 10000mAh are the ones available for tablets). it has an LED indicator on how much juice is left on the battery. corners of the device are somewhat “edgy”, meaning, there is a possibility that it can get caught on threads or pockets. *The opinions in this article are my own, I bought the gadget on my own and I am in no way being compensated or sponsored by Silvertec or Octagon. What a great review, Jenn! It looks like it’s worth the amount you paid. I’ll look into this brand also since I’m looking for a powerbank, too. God bless you! Helo, jen! Nicf to hear the product is good! I just bought this model a few hours ago… because it was cheap and slim. But how do you know if the battery is fully charged? Will the LED change color? Can we use another cord for this?